This recipe has all the fun of pretzels with mustard at the ballpark, but with a healthier spin. If you don’t like the kick of traditional yellow mustard, feel free to substitute with your favorite variety. 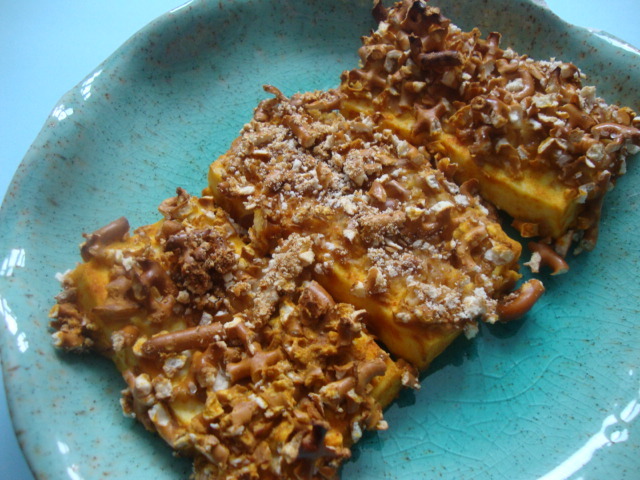 This recipe was modified from a pretzel chicken recipe in an old Self magazine. Preheat oven to 400*. Prepare a baking sheet with cooking spray. 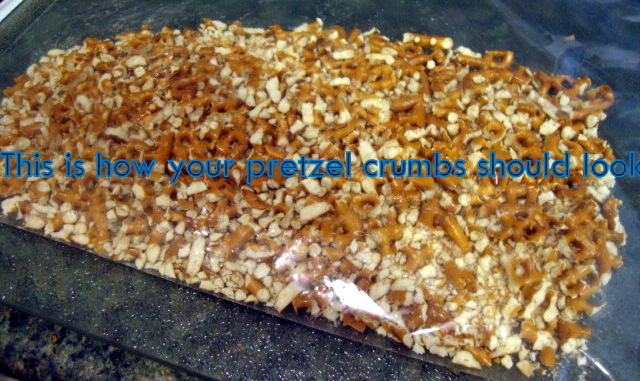 Pour pretzel crumbs into a low, wide bowl. Mix milk, paprika, and mustard in a low, wide bowl and create a dipping assembly line. Dredge tofu pieces through the mustard mixture and then the pretzel, turning to coat. Place on prepared baking sheet and cook 45 minutes.